Bonnen appointed House members to head more than 30 committees this legislative session. Two other committees — Ways and Means and State Affairs — were already guaranteed new chairmen due to departures. New House Speaker Dennis Bonnen, who chaired the tax-writing Ways and Means Committee in 2017, has tapped state Rep. Dustin Burrows, R-Lubbock, to fill his shoes. Burrows also chairs the Texas House Republican Caucus. And state Rep. Dade Phelan, R-Beaumont, will oversee the State Affairs Committee, replacing former state Rep. Byron Cook, a Corsicana Republican who did not seek re-election. Phelan, who told The Texas Tribune after assignments were announced that his appointment to chair is “a huge honor,” will oversee a committee that will have even more jurisdiction over some of the House’s most high-profile legislation this session, thanks to a new set of rules the lower chamber passed earlier this month. Meanwhile, the Calendars Committee will have a new chair this session. State Rep. Four Price, R-Amarillo, will replace state Rep. Todd Hunter, R-Corpus Christi, at Calendars, leading the committee that handles the timeline and order for which bills will — and won’t — reach the entire chamber for consideration. These assignments are among the first major glimpses into who Bonnen considers top allies in the House. And now that assignments have been announced, legislation can begin to move through the lower chamber as bills are referred to committees. In another shift, Bonnen tapped state Rep. Joe Moody, an El Paso Democrat, to serve as speaker pro tem, a position that Bonnen held under former House Speaker Joe Straus, R-San Antonio. In total, Democrats, fresh off a 12-seat pickup during the November elections, also made considerable gains with House committee assignments. Twelve Democrats were either appointed or retained chairmanships to the House’s 34 standing committees. Some of the more notable appointments happened on the Higher Education and Transportation Committees, where two Democrats — Chris Turner of Grand Prairie and Terry Canales of Edinburg — replaced Republicans J.M. Lozano of Kingsville and Geanie Morrison of Victoria as chair, respectively. During the 2017 session under Straus, 13 Democrats held chairmanships on the lower chamber’s 38 standing committees. 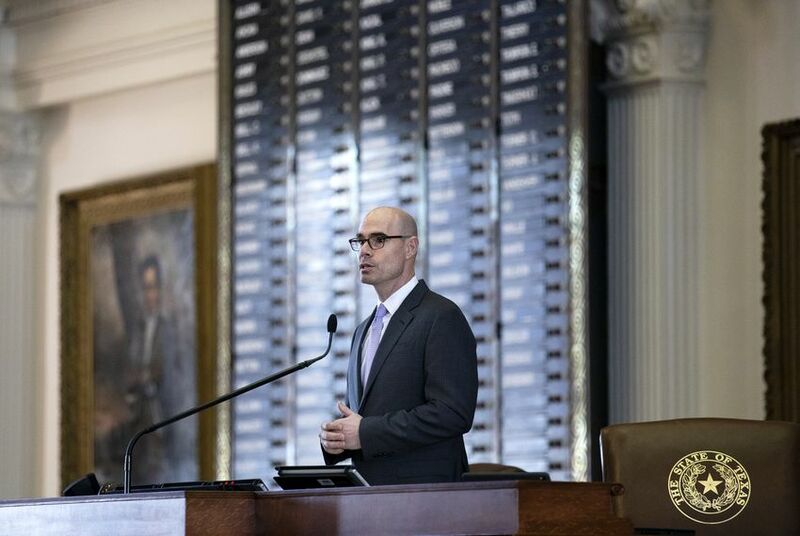 Beyond partisan lines, Bonnen’s office said Wednesday that of the 34 standing committees this session, 19 chairs and 22 vice-chairs are women, black, Hispanic or Asian-American. Additionally, 15 chairs will be serving in that capacity for the first time. A number of other chairmen also retained their posts, including state Rep. Dan Huberty, a Houston Republican who will again head the Public Education Committee. That committee will all but certainly play a central role in the debate over school finance — an item the Legislature has billed as a must-do issue this session. State Rep. Diego Bernal, a Democrat from San Antonio, will also continue to serve as vice-chair of the committee. In another announcement Wednesday, state Rep. Tom Craddick, a Midland Republican who was House speaker from 2003-09, was appointed chair of the Land and Resource Management Committee. It will be Craddick's first time serving as a committee chair since the 1997 session. Craddick, who began serving in the House in 1969, is the longest-serving member in the lower chamber.